Isscar is a leading Israel company that manufactures hard metal cutting tools. As an employee at Isscar, Gidon Barzani was involved in the development of hard metal cutting tools at Isscar during the years 1992 to 1995, and again between 1997 and 2001 and was involved in a certain service invention, his actual contribution being a matter of contention. 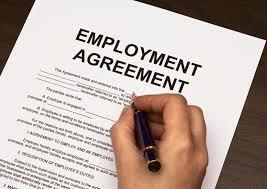 The employee signed various documents that gave up on monetary claims. In Israel, an employee invention is owned by the employer. However, under Section 134 of the Law, the employee is entitled to compensation, the amount of which is determined by a special committee under Section 109. The Committee, at the head of which sits the retired Supreme Court Justice, Itzak Englard, the Commissioner of Patents and an university professor, rejected Barzani’s claims as he had had waived his rights to consideration for the inventions when he signed on the general waiver. Barzani appealed to the Supreme Court as a High Court of Justice (BAGATZ) see here which resulted in the committee freezing its actions. One of the more interesting legal questions is whether a general waiver as part of the employment contract, where no invention is yet conceived can be considered as legally binding. (Talmudist’s may note a similarity to discussion of unlaid eggs). The Supreme Court rejected the appeal arguing that it had limited power to interfere since under Section 111, the Bagatz ruling was final. The Supreme Court ruled that Section 134 describes a non-cogent right that is not a socialist employee right that requires special defense. On the face of things and with deference to the language of the clause, the decision appears to be correct, and certainly is sufficiently reasonable that there is no justification for court interference. Nevertheless, the court noted that in a dynamic and changing world there is room for additional legislation or for companies to come up with voluntary compensation schemes. However, there is no reason for the court to interfere. Where there is no agreement providing compensation to the employee for his service invention, regarding the amount of compensation and the conditions, these will be determined by the Committee for Compensation and Royalties. Section 111 fixes the finality of the committee’s decision, but there is no doubt that in extreme circumstances, the Supreme Court sitting as a High Court of Justice can interfere. Since, however, the committee includes a retired senior court justice, the commissioner and an academic, interference in its conclusions are likely to be minimal, and this instance does not justify the court’s involvement. The main argument, following the Actelis ruling of 2010 is concerned with the question of whether Section 134 should be considered cogent or dispositive. The committee came to the conclusion that it is not a cogent right and is not an example of employer-employee labour law where (due to the inherent differences in power between the sides) workers’ rights require special protection. The ruling seems to be correct, but anyway, since the Law states that the committee’s rulings are final, there is no room for the court to interfere. Nevertheless, the court has criticized the current situation and noted that common sense and natural justice indicate that there is room for a more equitable arrangement, whether the result of voluntary agreement or of legislation, and such arrangements exist in the private sector. There was a lot of interest in this case, and we believe that employers will be giving deep sighs of relief. Employees will probably feel that the system favours the company against the individual. I am aware that some academics have strong feelings, see for example, Dr Shlomit Ravid’s position here and here. Since the court has criticized the committee’s ruling and is not prepared to get involved, it is not inconceivable that a future committee could reach the opposite conclusion. Indeed, one of the judges of this ruling might, on retirement, sit in such a committee. There may, therefore, be room for clear legislation on the issue. Personally, I think the Supreme Court decision is correct. I encourage corporate clients to institute compensation programs or at least weekend breaks and the like to encourage employees to come forwards with ideas, but think that changing the law in Israel may result in multi-nationals taking their R&D centers elsewhere, and that is not good for the economy or the workers. Thank you for the very insightful reporting of the Isscar case. However, I dare to say that I find the judgement of the court and your commentary of same highly disagreeable. I am of the humble opinion that while legislative frame work are guide lines for reaching final decision in legal actions, they are not the final decisions themselves, hence we have the judiciary to interpret. A strict straight jacket interpretation of law very often leads to injustice. Moreover, in reaching final decisions, where as you have suggested, corporate gains and state economic benefits should override the fundamental consideration of individual rights, then the system can be attributed to one that operates an institutional imbalance in judicial considerations. My point is that courts are inherently set up with the main thrust of “seeking, holding and delivering” justice regardless of statutory provisions. The equity in this case, as in mist celebratory cases, demands and provides the courts with opportunity to “redefine” the law, not in a strictly sensor case, but rather against the dynamics and expectations of the time, provided such interpretation would avoid anarchy and injustice to any of the respective parties. In this case, it is my humble opinion that consideration was only given to the interest and right of one party. As much as it is possible, I shall follow up on the aftermath of this decision and pray that you do assist me to do so, if you can.